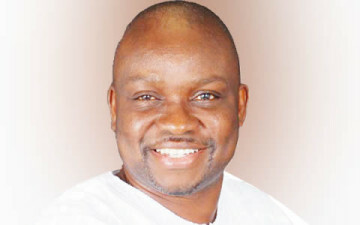 A High Court of the Federal Capital Territory, Maitama, Abuja, while ruling on the bail application of an aide of Governor Ayo Fayose of Ekiti State, Abiodun Agbele‎, awarded N5m as damages against the Economic and Financial Crimes Commission as compensation for the suspect’s “wrongful and illegal detention” from July 1 till date. The court held that the order obtained ‎by the EFCC from a Magistrates’ Court in Wuse on July 13 after the anti-graft agency was served with the processes of the suit, amounted to nullity, as it (the order) was said to have been obtained to foist a “fait accompli” on the court with respect to the suspect’s suit. The judge condemned “strongly” what he described as EFCC’s “gross abuse of powers” and its “arrogant display of executive might”‎ for detaining the suspect illegally for the period. The court awarded N5m as damages against the EFCC as compensation for the suspect’s “wrongful and illegal detention” from July 1 till date. Agbele was arrested by the EFCC in Lagos on June 27 and has since been detained for his roles in the handling of over N1.2bn on behalf of Fayose during the Ekiti State governorship election in 2014. The court ordered that should the anti-graft commission fail to prefer charges against the suspect within 21 days, all his personal belongings seized by the EFCC should be released to him. Though, the court ordered the suspect to deposit his passport with the EFCC as part of the bail conditions, the judge directed that it should be released to him should the anti-graft agency fail to charge him within 21 days.